“Some people say our sound is a bit nostalgic – in a good way,” say Echo Stains, a dream-pop trio hailing from Las Vegas. 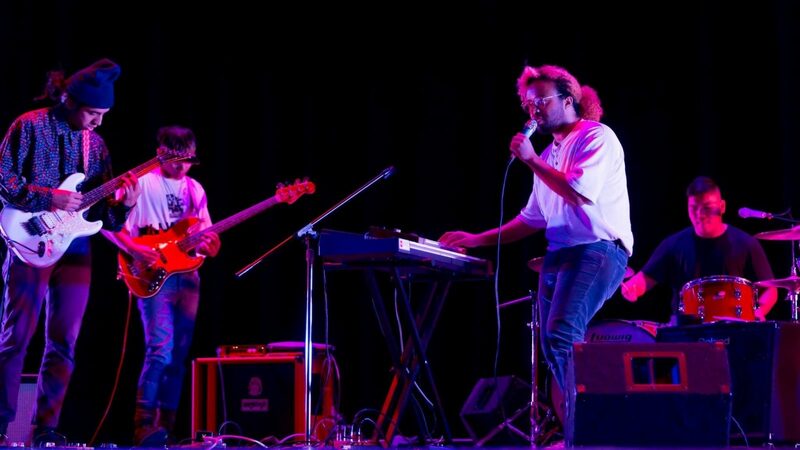 It’s not difficult to see where such a reception comes from; if nostalgic in the good sense refers to the band’s penchant for capturing sonic landscape of 80s synth-rock and reimagining it within the modern, then they’ve got it down to a tee. Echo Stains are Duran Duran meets DIIV, an enmeshed cohort of classic and contemporary, fronted by their Sin City wistfulness. Jordan Collins, Ronnel Guillermo and Marvin Cantorna Jr. met at high-school and began “messing around” with different styles and ideas, though it wasn’t until 2013 that they collectively settled on the direction in which they wanted to move. “We decided that Echo Stains was our music when Ron sent Jordan & Marvin an email. It was a rough GarageBand version of ‘Years’, from the first EP. “From then on, we came together, and for 2 years, we would work on a song a month, ultimately they would compile into our first EP, ‘Echo Stains’, and the follow-up ‘Colors Of Emotion’. Both releases paved the way for the sound the band would grow to encapsulate. Their music – though adhering to traditional indie-pop templates in theory – is richly coated, layering synths and strings to construct a sparse and pensive after-party. It’s makes for transcendent listening, which sees the band’s honest, forthright lyrics given an other-worldly quality; Echo Stains manage to exist in the the heart of the city, desert and starlit sky, simultaneously. Their latest release, Prom, follows the same template. The trio’s debut album is a spirited ode to the heyday of The Cure and New Order, intertwined with a streetwise form of way-out, psychedelic-pop. 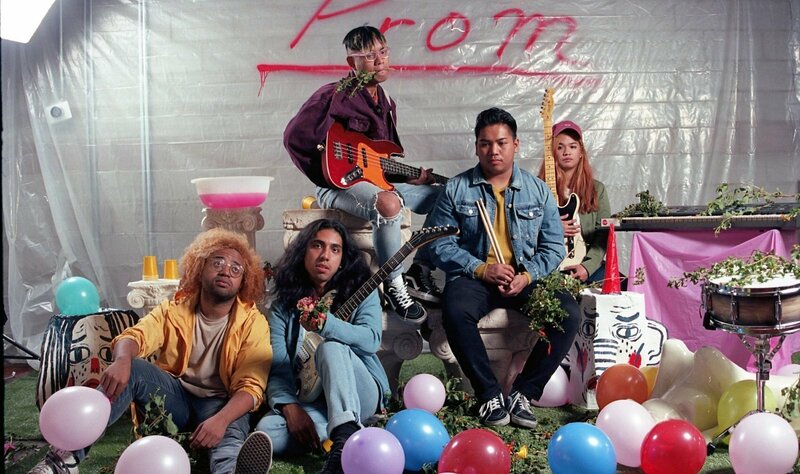 “Our debut LP “PROM” is a story about the struggle between love, its reality, and being happy,” they explain. “Prom was a time for a lot of people who went through a lot of emotional roller coasters. Every song was a bit of a glimpse from our perspectives during that time and what we experienced. Prom fluctuates along a timeline, both thematically and sonically. It’s a temporal journey – and a musical one too. Tracks like Tell Me and Orange play like Boys Don’t Cry dressed in brand new threads, while Dizzy could sneak its way onto Arcade Fire’s Reflektor with a dream-funk kind of nonchalance. Echo Stains are influenced by both the past and present, but never rooted by it; unshackled, they occupy an in-between, happy to dance in the detached. So, what now for the Nevada three-piece? Touring, apparently – and lots of it. Don’t expect Echo Stains to be anchored anywhere, but anything. With ideas bigger than a single state, they’re a band with their eyes on the distance. Watch out for them. Hey, you. Join our club.